Fisher-Price Favorites // $50 Walmart Gift Card Giveaway - It's Gravy, Baby! This post is sponsored by Lunchbox. All opinions are my own. 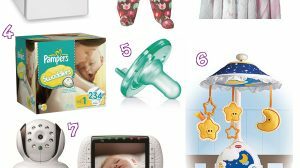 Read on and share your favorite Fisher-Price products available at Walmart.com for your chance to win a $50 Walmart gift card! 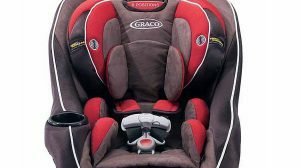 Last month, we talked about our most used baby gear during those newborn days. It’s no surprise that most moms named at least once Fisher-Price item as their must have. Fisher-Price doesn’t just make products for infants though, they offer products that grow with your baby. A quick walk through our house and you’ll spot the Fisher-Price Cheer for Me potty and several Fisher-Price toys including Little People sets and the Laugh and Learn Say Please Tea Set. Those are just a few off the top of my head. From beautiful cribs and baby gear to toys and clothing, Fisher-Price offers products for children of all ages. With their range of products offered at Walmart.com, it’s a one-stop-shop for all of your needs. I’m actually just learning that Fisher-Price makes cribs and I’m kind of wishing I had known about them sooner because they offer several styles including 3-in-1, 4-in-1, and 5-in-1 cribs at affordable prices. For a limited time, Walmart will be offering a $20 Walmart eGift Card with the purchase of either the SnugaBear Rock N’ Play Sleeper or the SnugaBear Bouncer! That knocks the price of Rock ‘N Play Sleeper down to $44.88 and the Bouncer down to $34.88 after you receive your gift card. I’ve looked and you will not beat those prices. This eGift Card offer is available exclusively at Walmart.com today and let Fisher Price prepare mom-to-be for every stage! One winner will receive a $50 Walmart gift card. This giveaway is open to US residents only and will end at 11:59PM September 29, 2013. This is a Rafflecopter giveaway. If you are reading this via e-mail or feed, please click over to the post to enter. Thank you! I wish we had gotten a rock and play sleeper when ours was a newborn! Our favorites HAVE to be the “Little People” Especially the house, the farm, and the zoo. We absolutely love or infant to toddler rocker and cradle swing. (definitely needed for newborn days) I would love to have the rock and play. The one item I most recommend is the Jumperoo. I’d love to have the Fisher-Price 2-in-1 Projection Crib Mobile, Precious Planet. The Rainforest bouncer is my favorite. We had the butterfly swing and I highly recommend it! My cousin is expecting, and I would definitely recommend the Fisher-Price Disney Lion King Soother! The rainforest open top cradle swing looks adorable! I would love the Fisher-Price – Papasan Cradle Swing, Mocha. We always loved Fisher Price’s Little People. I like the Disney Minnie Mouse’s Baby Gym. A new mom must have is the Fisher-Price 2-in-1 Projection Crib Mobile, Precious Planet. I would love to have the Rainforest Melodies & Lights Gym! I would like the Fisher-Price – Papasan Cradle Swing, Mocha Butterfly. I like the rock and play sleeper. I just love the Fisher-Price Rainforest Jumperoo. That thing is totally awesome. Thank you! Laugh and learn puppy is too cute. The Rainforest Bouncer is a great product for any new mom. I like the Fisher-Price Starlight Papasan Cradle Swing Nite Nite Monkey. My great nephew loves the Fisher-Price Laugh & Learn Learning Puppy. I love the laugh & learn learning puppy! We love the rainforest jumperoo. All of our babies have loved to jump! I really like the Fisher-Price Luv U Zoo Bouncer. I like the cradle swing. It is also what I would recommend because it helps soothe a baby and prevents crying a lot of times. My kiddos love the Fisher-price Disney Little people sets! I think we have them all….hoping some new ones come out for xmas!! I love the Little People. I had them growing up. Fisher-Price – Newborn to Toddler Portable Rocker. I like the Rainforest Bouncer. Little People house and farm. Id love to have a Rock and Play Sleeper! Thanks for the chance. I like the lunch n munch Picnic Table! We love the Fisher-Price SpaceSaver High Chair, Snugabear – our girl loves it and eats better in it! Always recommeneded! Definitely the Fisher-Price My Little Snugabear Deluxe Rock n’ Play Sleeper. I like the rainforest soother. It was a lifesaver with my first baby. Hi, I like the tarlight Papasan Cradle Swing, so cute! Little People Fun Sounds Farm Play Set. We have some F-P toys that were my kids’ and now the grands play with them too! The infant to toddler rocker in pink owls looks really sweet! My daughter loves the Fisher-Price – Papasan Cradle Swing, Mocha Butterfly, I would recommend it. Fisher-Price Infant to toddler rocker, snails looks fun for baby. I’d like to have the Fisher-Price Infant to Toddler Rocker, Snails for my grandson. The Laugh n’ Learn Puppy is our fave! My favorite product is the Laugh and Learn Learning Puppy! It is so cute and fun! I like the Fisher-Price Rainforest Healthy Care High Chair. I like the Fisher Price – Rainforest Bouncer. And one thing you cannot live without being a new mom is a Baby Swing. It truly is a life saver. I would love to get the Fisher-Price Rainforest Jumperoo for my niece who is expecting her first child! The Fisher Prize little people were always the favorites at my house. We had the barn and the school bus and they gave my kids hours of sun play. The rock and play sleeper would be great for my son! We have the http://www.walmart.com/ip/Fisher-Price-Rainforest-Jumperoo/5420743 and love it! I like this ride on toy, http://www.walmart.com/ip/Fisher-Price-Power-Wheels-Pink-Dune-Racer-12-Volt-Battery-Powered-Ride-On/21556112. Thank you! I’m expecting our first in December and have registered for several fisher price toys! I like the “Fisher-Price Little People Disney Princess Snow White Cottage Play Set”. I like http://www.walmart.com/ip/Fisher-Price-Open-Top-Musical-Discovery-Gym/16651245 so cute. Id like to get my littlier grandkids the learn and play puppy and pals activity table. I like the little people play house too. I would love to have http://www.walmart.com/ip/Fisher-Price-Luv-U-Zoo-Cradle-Swing/14863001 . That’s what I would like!! Fisher-Price – Space-Saver High Chair & Booster Scatterbugs w/5-Pack Bibs Bundle would be great to have! I would like to have the Fisher-Price Lunch ‘n Munch Table http://www.walmart.com/ip/Fisher-Price-Lunch-n-Munch-Table/21078089. I like this swing…the Starlight Papasan Cradle swing! The Fisher-Price – Butterfly Garden Papasan Cradle Swing looks amazing! I would love to win this!!! It would deff help buy diapers, wipes, and everything else for my little one!!! this came up on their site Due to technical difficulties, we can’t show the page you’re trying to get to. What would you like to do? the rainforest collection is very cool. I love it. I’d love tomget the http://www.walmart.com/ip/Fisher-Price-Deluxe-Newborn-Rock-n-Play-Sleeper-My-Little-Snugapuppy/24547295 for my new grandchild. I would love to have http://www.walmart.com/ip/Fisher-Price-Deluxe-SpaceSaver-High-Chair/21975837! I’d put it towards the Red Ford F150 Raptor! Potty chair! Having issues with son not wanting to even try and can’t figure out what else to do! My daughter would love the Fisher-Price Kid-Tough Digital Camera. I love this dresser http://www.walmart.com/ip/Fisher-Price-4-Drawer-Dresser-Espresso/23594316 it is something that would grow with baby. My son would love the Fisher-Price Mike the Knight Talking Action Figure! Fisher-Price Little People Zoo Talkers Animal Sounds Zoo would be our pick. It would go over like gangbusters in our home. THE LUNCH AND MUNCH PICNIC TABLE WOULD BE PERFECT! I’d love this Learning Walker! Fisher Price has awesome products, hard to choose just one! Thanks! I think this is so cute: http://www.walmart.com/ip/Fisher-Price-Newborn-to-Toddler-Rocker/24537724. I really like the Zen Cradle Swing http://www.walmart.com/ip/Fisher-Price-Cradle-Swing-Zen-with-Bonus-20-eGift-Card-Bundle/28455513 …I love the style, super cute- and this even comes as a bundle with a bonus $20 eGift card- would make a perfect gift! I’d like to hve a Fisher-Price – Newborn to Toddler Portable Rocker. The RainForest Booster seat would definitely come in handy! My son keeps escaping from his. I love the space saver high chair! This is the one I would like to have! For a dream gift for my daughter I would love to have the Fisher-Price Power Wheels Barbie Mustang Ride-On. I like the Superstar Step N Play Piano! I would like to have Fisher-Price 2-in-1 Projection Crib Mobile, Precious Planet. My grandson loves his http://www.walmart.com/ip/Fisher-Price-Growing-Baby-Caterpillar-Pop-Up/23604039. I like the Butterfly Garden Papasan Cradle Swing. This is so cute & functional! I’d like the Table Time Cow booster. I like the Fisher Price – Rainforest 4-Piece Toddler Bedding Set. How easy are Fisher Price items to clean? Fisher Price Lunch n Munch table is awesome, and I wish I had it! I like the Fisher-Price SpaceSaver High Chair, Snugabear. The Fisher Price Laugh and Learn puppy would be great for my nephew! the Fisher-Price Laugh & Learn Learning Puppy, cute! The nite nite monkey, the kids love it. I liked the Fisher-Price My Little Snugabear Deluxe Rock . This would be good for dinners out too. sorry the above link is so big can you delete that post and just have this one? I like the Fisher-Price Rainforest Jumperoo. I like the Fisher-Price – Luv U Zoo Jumperoo. I would love to have the http://www.walmart.com/ip/Fisher-Price-Rainforest-Booster-Seat/8072090. I like the Rainforest jumparoo. I’d love to have the rainforest bouncer. 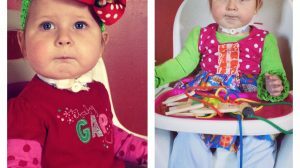 I’m sure my little granddaughter would love this: http://www.walmart.com/ip/Fisher-Price-Magical-Tea-for-Two/12961444 Thanks for having the contest. I love the Starlight Papasan Cradle Swing!